Working together with our Research Fellows, the Research and Capacity Building Programme contributes to policy and civil society thinking on human rights, the rule of law, and justice issues in Libya. The Programme offers precise and informed recommendations, which we build into our work and share with stakeholders through reports, workshops, and events. We regularly partner with civil society organisations, Libyan lawyers and activists, and world leading academic institutions to ensure our activities reflect a diverse range of perspectives and are of the highest quality. Our research activities aim to provide meaningful insight into Libya’s human rights challenges. We prioritise the investigation of issues that are under-explored and which may offer new opportunities to achieve social change. We employ methodologies that engage participants and allow their voices to be represented. Our reports and materials speak to the human rights experiences of those affected, reflecting the concerns of daily life as well as experiences at the extremes of crisis. Our capacity building efforts recognise that informed stakeholders, equipped with resources and skills, improve the prospect of a Libya becoming committed to human rights, the rule of law, and justice. We organise events to facilitate strategic conversations and offer participants new legal tools to make a difference in Libya. The programme develops informative resources, handbooks, and curriculums to support these efforts. We further offer opportunities, through fellowships and work experience placements, to help develop the skill sets of future human rights lawyers. 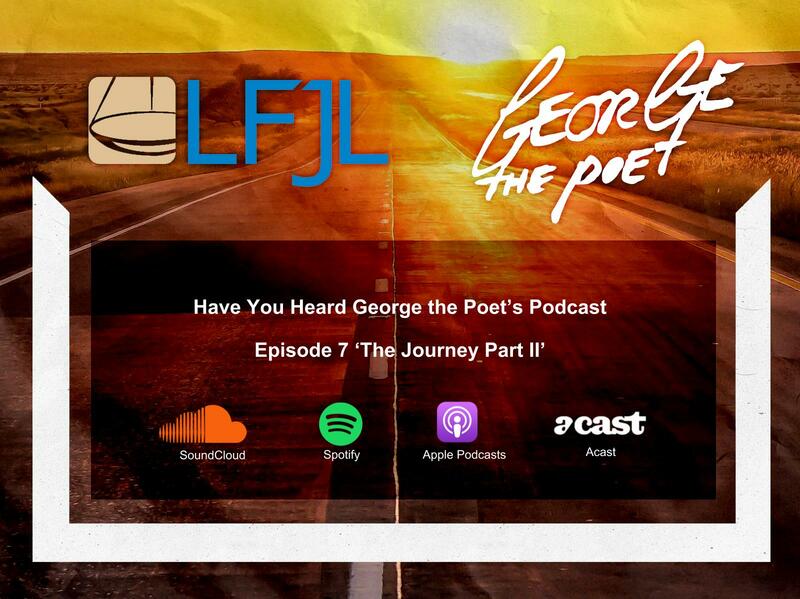 Have you heard George the Poet’s latest podcast? George, a social commentator and recording artist specialising in musical poetry, casts his gaze 2000 miles across the Mediterranean Sea to explore the modern Libyan slave trade. As part of his collaboration with LFJL and #RoutesToJustice, George has raised awareness about the human rights violations migrants face in Libya and promoted this project, which aims to provide migrants with access to justice. George recently dedicated an entire show on 20 September 2018 to the issue of slavery in Libya and highlighted LFJL’s work in this area. The show resulted in this podcast, 'The Journey - Part II', which features, Elham Saudi, LFJL's Director. Check out the podcast here. The Research and Capacity Building Programme undertakes activities that aim to identify new opportunities for participation, to share our understanding of human rights issues and to address the knowledge deficit around Libya. The Advocacy and Outreach Programme ensures that core human rights concerns of grassroots stakeholders are a key consideration during the decision making processes of domestic, regional and international institutions and actors. The Accountability and Transitional Justice Programme documents human rights abuses, promotes accountability and reparations and supports reconciliation by opening spaces for discussion on transitional justice issues.